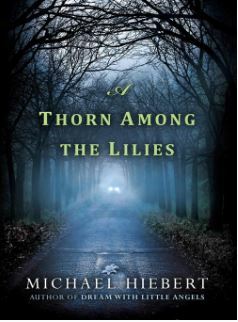 In Michael Hiebert’s haunting and powerful novel, a long-ago tragedy echoes through small-town Alabama as one woman tries to track down a serial killer. Detective Leah Teal is privy to most of the secrets in her hometown of Alvin, but there are always surprises to be had. Like the day she agrees to take her daughter, Caroline, to see a psychic for a reading. The psychic hones in on Leah instead, hinting at a string of gruesome killings and insisting that she intervene to prevent more deaths. When you go looking for trouble, you never know how much you’ll find. Sure enough, the psychic’s scant clues lead Leah to a cold case from six years ago, when a young woman was found shot to death, her eyelids sewn shut. As Leah digs deeper into old files, a second unsolved case surfaces with the same grisly pattern. While her shrewd young son, Abe, observes from the sidelines, Leah races to prevent another horrific murder, unaware of just how deep the roots of evil can go. Taut, suspenseful, and rich in Southern atmosphere, A Thorn Among the Lilies is a mesmerizing novel of loss and vengeance, and the lengths some will go to out of loyalty and love. 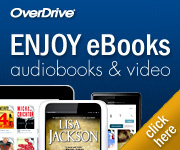 And the physical item for today is a print book. And, in a slight departure from the usual, this book is actually a children’s book. It is on the New York Times Best Illustrated Children’s Books of 2016 list. And here’s is the suggested print book for today, taken from that list of New York Times Best Illustrated Children’s Books of 2016. 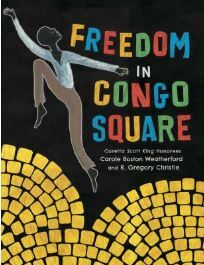 Chosen as a New York Times Best Illustrated Book of 2016, this poetic, nonfiction story about a little-known piece of African American history captures a human’s capacity to find hope and joy in difficult circumstances and demonstrates how New Orleans’ Congo Square was truly freedom’s heart. mules to train, and logs to chop. Slavery was no ways fair. Six more days to Congo Square. As slaves relentlessly toiled in an unjust system in 19th century Louisiana, they all counted down the days until Sunday, when at least for half a day they were briefly able to congregate in Congo Square in New Orleans. Here they were free to set up an open market, sing, dance, and play music. They were free to forget their cares, their struggles, and their oppression. This story chronicles slaves’ duties each day, from chopping logs on Mondays to baking bread on Wednesdays to plucking hens on Saturday, and builds to the freedom of Sundays and the special experience of an afternoon spent in Congo Square. This book will have a forward from Freddi Williams Evans (freddievans.com), a historian and Congo Square expert, as well as a glossary of terms with pronunciations and definitions.